Is Pain Affecting Your Quality of Life, Fitness, Or Athletic Performance ? Maximize Healing, Everyday Physical Performance with Myofascial Release and Muscle Tissue Pliability Bodywork. 360° Bodyworks provides integrated therapies, including Myofascial Release, Deep Tissue Bodywork, to help you achieve your goals in a prevention-oriented way. Whether you are living with pain, suffering from recurring injury, recovering from surgery, impaired physical performance, or not receiving desired results from other forms of therapy, Jim Busconi can help you. 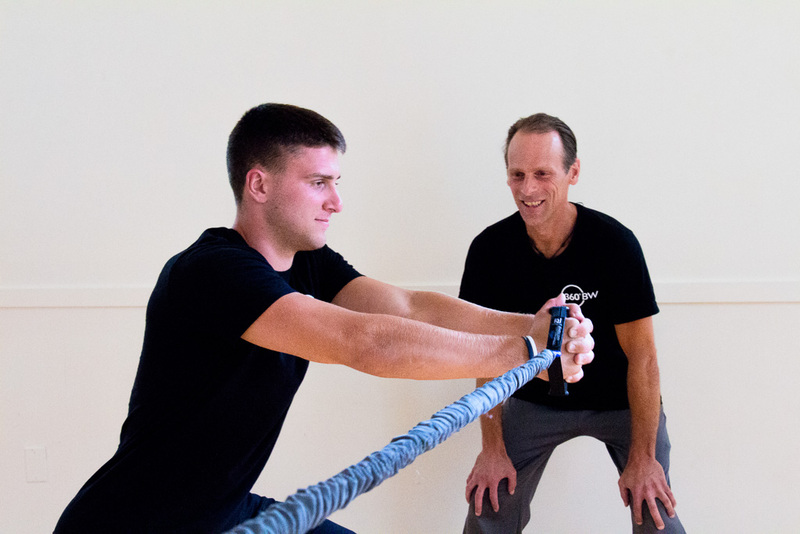 He addresses each client’s individual needs through manual tissue work by promoting muscle and fascial tissue pliability, flexibility, proper body mechanics and resiliency. His therapies relieve pain enabling clients to maximize their healing potential, everyday, fitness and athletic performance. Jim has the experience and expertise to develop a comprehensive, whole-body approach to treat symptoms, accelerate healing, lower risk of injury and foster a pain-free, highly functional, active lifestyle. Myofascial Release is a effective whole-body, hands-on technique that involves applying sustained pressure into restrictions to increase fascial pliability. Bodywork involves specialized manual tissue work techniques, targeting muscular imbalances to increase muscle pliability and circulation to help healing. Biomechanics is necessary to evaluate movement and is key to providing effective steps for functional movement, performance and recovery. Jim Busconi is a master massage therapist and healer. He listens carefully to his clients, tailors his massages to their individual needs, and modifies his approach as needed over time. Jim is the only practitioner who has been able to offer me any real relief from my back issues I suffered from for 4 months. Jim is deeply sensitive to the needs of his clients and provides care for injuries, and more importantly has an excellent eye for injury prevention. Jim has helped me come back from concussions, lower back and shoulder injuries, and has helped me rehab a broken thumb. What makes our Method more effective? Traditional forms of medical, physical, occupational and massage therapies often fail patients, by offering temporary results. These approaches treat the pressure from Myofascial restrictions. They do nothing to resolve the Myofascial restriction, which is the underlying cause of discomfort and dysfunction. Jim uses his vast experience with Myofascial Release, Deep Tissue Massage along with a course of integrated therapies to make permanent, structural changes that bring long-term relief, repair and improved performance. Individuals feel better and are able to enjoy the benefits of increased physical functional, well-being, and empowering you be at your best. Ready to discover a method that provides pain relief and effective long-term results?